We've had time to play with the developer beta of watchOS 5, here's what's new. 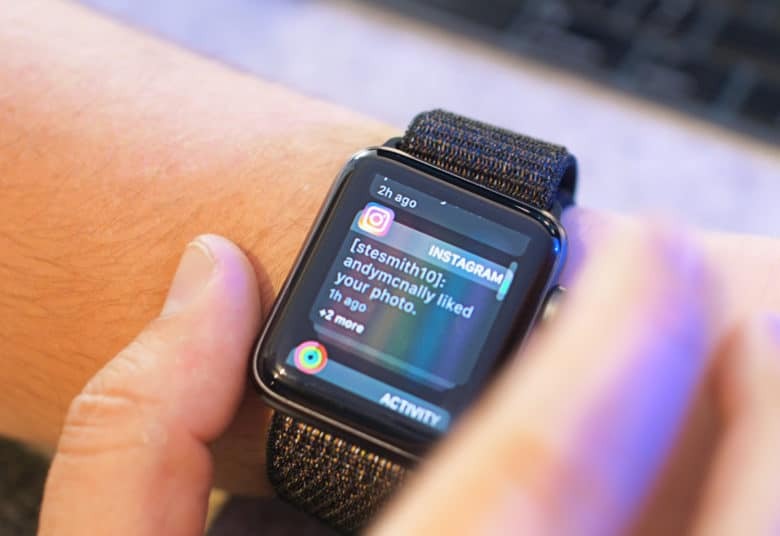 Even if you already saw the WWDC 2018 keynote where Apple showed off watchOS 5, there are tons of features that got brushed over — and some did not get mentioned at all. As is our duty, we installed the first developer beta of watchOS 5 and gave it a full run-through so we can show you all the new features in action. Check out the video below. We installed the first watchOS 5 beta on an Apple Watch Series 3. While the general release won’t come until this fall (likely to be released during Apple’s traditional September event), the first public beta should be available in a couple of weeks. Before we run down what’s new in watchOS 5 beta 1, I’ve been forced to include this disclaimer about betas: Since this is the very first test version available outside Apple, some features will prove buggy. Some might not even make it into the final release. That said, here’s what’s new in watchOS 5. Competitions pitch you head-to-head against your friends to see who can gain the most points. Let’s start with updates to the Activity app. The first new addition for WatchOS 5 is Competitions. This feature makes fitness more competitive by allowing you to challenge your friends to close rings over a seven-day period. Throughout each competition, you’ll receive notifications to tell you how your opponent is getting on — and to push you to keep going. Whoever gains the most points wins. The winner receives an animated award, just like when you complete an Apple Watch challenge. Never miss a Workout achievement again. I love wearing my Apple Watch to track my lengths when swimming, but sometimes I forgot to start (or stop) the Workout app on my watch. Well, in watchOS 5, you get workout reminders when the Apple Watch thinks you are starting or stopping an activity. 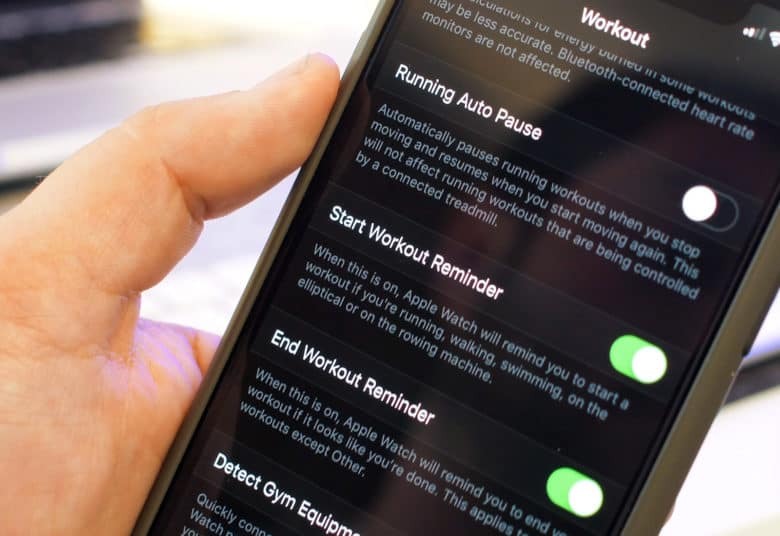 You can toggle these on or off within the Apple Watch app on your iPhone, where you’ll also see a toggle for an auto-pause feature for running workouts. So if you take a short break to catch your breath, the running workout will automatically pause. 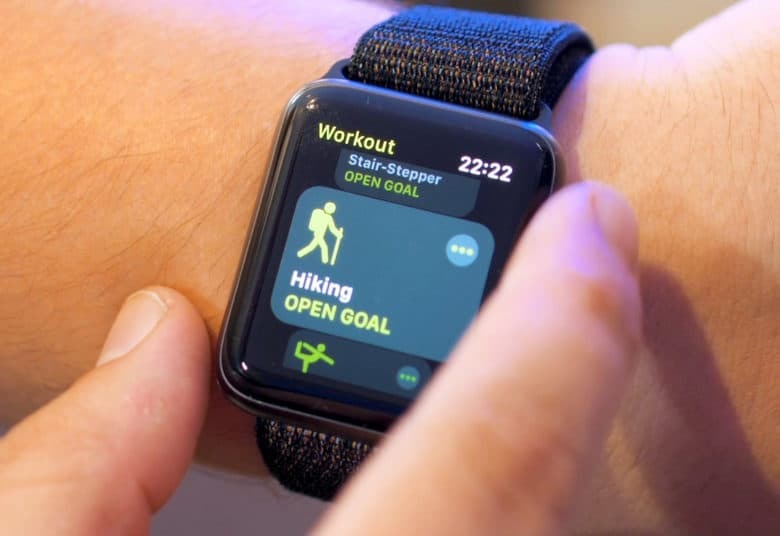 Hiking and yoga workouts arrive in watchOS 5. Apple added two new workouts for watchOS 5, bringing options for yoga and hiking. These work mainly from your heartbeat (and, of course, Apple attests to their accuracy). Unfortunately, I’m not the yoga or hiking type, so you guys will have to let me know in the comments below just how well these two work. While we’re talking about activities I should be doing more of, Apple added a new cadence metric, which shows your steps per minute for indoor and outdoor runs. A new pace alarm for outdoor runs alerts you if you fall behind (or get ahead of) your designated target pace. 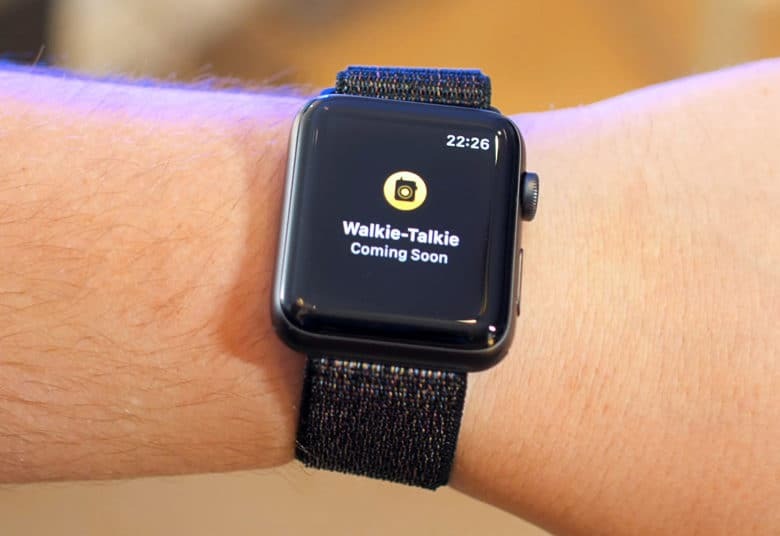 Unfortunately, the Walkie-Talkie feature isn’t up and running in the first build of watchOS 5. Next is Walkie-Talkie mode. After you add friends to the app, you just push to talk. The Apple Watch will send the voice message to your friends over Wi-Fi or LTE. With beta 1, though, the app just shows a “coming soon” message, so I can’t try this out for the time being. watchOS 5 allows you to listen to Erfon and co. while on the go. In what seems like a no-brainer, the Podcasts app comes to the Apple Watch, allowing for streaming on the go. 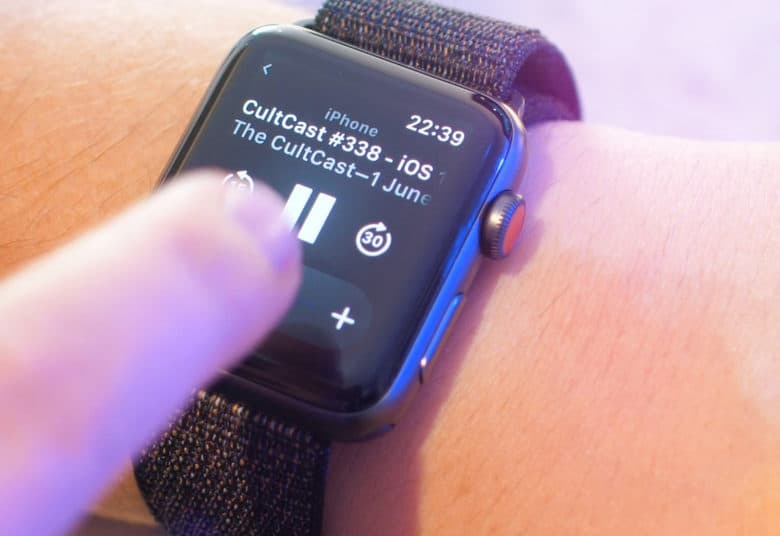 Episodes of your favorite podcasts (like, ahem, The CultCast) will automatically sync to the Apple Watch, where you can use the app to navigate them or just ask Siri. 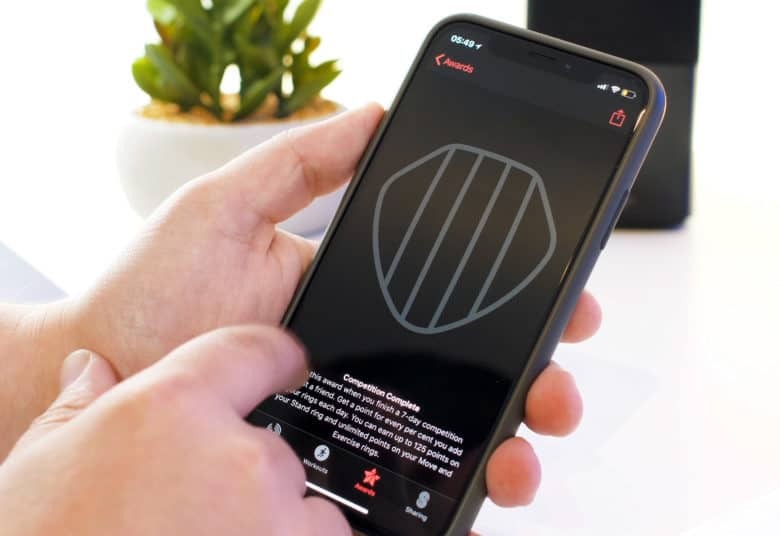 Developers can now also allow music, audiobooks and meditation sessions from apps like Pandora and Audible to be synced to the Apple Watch for offline playback. Unfortunately, Apple did not announce any third-party watch faces. However, we did get some improvements to the Siri Apple Watch face. It now features sports scores, maps and heart rate data. Speaking of third parties, though, in watchOS 5 you can add third-party complications to the Siri watch face. Thank Cook for grouped notifications. watchOS 5 also brings some good changes to Apple Watch’s Control Center and Notification Center. Within Control Center, you can now organize your toggles in whatever order you would like. For example, I use the water lock pretty often, so I can hit the edit button, drag that icon near the top, and tap done once I’ve finished. Thankfully, the Apple Watch Notification Center follows iOS 12’s lead: We get grouped notifications in watchOS 5. Here you can see they’re all stacked up neatly. Tap on More to expand, and then you can close them. Also like iOS 12, if you swipe to the left on notifications, you can manage them to deliver quietly or turn them off on the Apple Watch. On top of that, watchOS 5 brings enhanced notifications, so third-party apps can offer interactive controls without needing the app to be open. Apple demoed this at WWDC by editing a Yelp reservation right from the notification. As a quick extra note, you can now pull down Notification Center and Control Center while in any app; in previous watchOS versions, this only worked while on the watch face. Apple Watch supports the new Siri Shortcuts, which you set up on your iPhone. Siri Shortcuts, in a nutshell, are custom commands to automate specific actions. For example, when I say “I’m heading home,” the latest episode of one of my favorite podcasts will automatically play. Apple says Siri will now work with a raise-to-speak function, so you no longer have to say “Hey Siri”, although it isn’t working for me in the current beta. Webkit on watchOS 5 makes glancing at links possible. 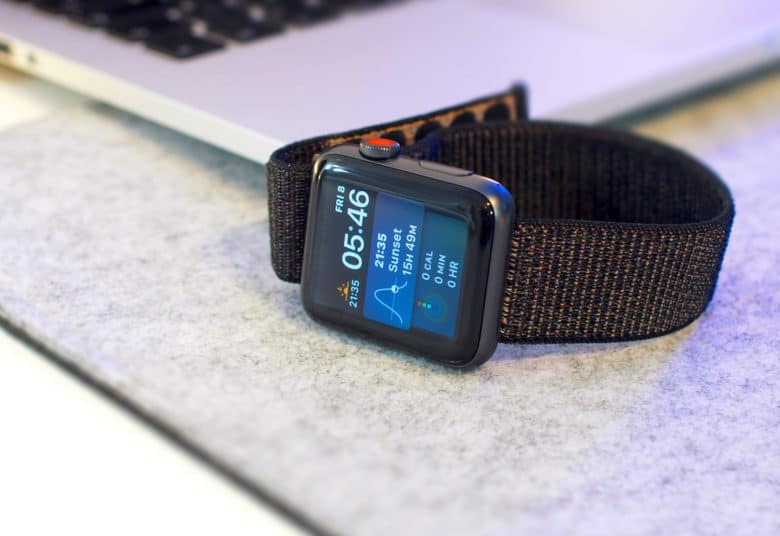 One of the watchOS 5 features I think might get overlooked is the integration of WebKit for the Apple Watch, which lets you view basic web content from your wrist. When I’m caught short without my iPhone and using my Apple Watch to keep in touch, being able to view links that people send me is going to come in super-handy. 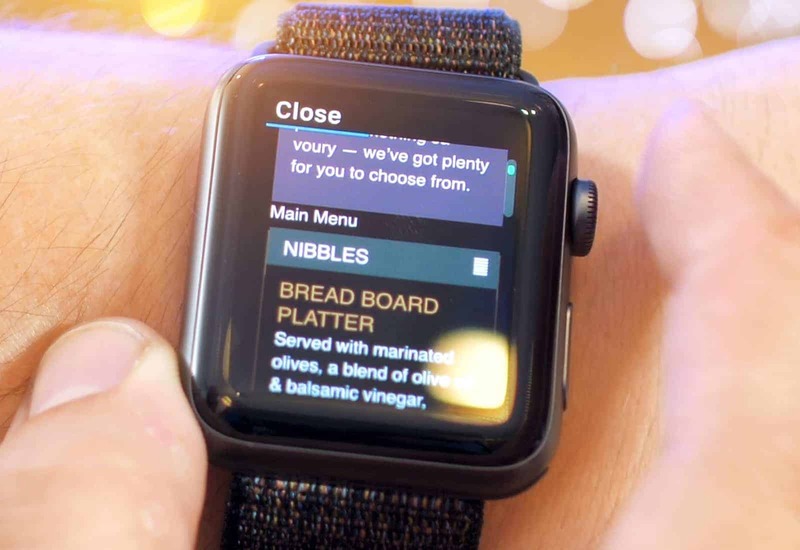 Here you can see I’ve sent myself a menu from a website; the Apple Watch shows me all the text and even some of the pictures. It does take a second to load up but it works great when it does. Full web browsing on your wrist doesn’t make sense, but being able to take quick glances at things like this will definitely come in handy. Again, as with my iOS 12 hands-on video, there are a fair few other changes I didn’t have time to take an in-depth look at, just to keep the length of the video down to a reasonable length. Other watchOS 5 changes/additions include: student ID cards, options for Do Not Disturb, design tweaks throughout (Workout settings, Dock remove etc.). Also, you can now connect to a Wi-Fi network straight from Apple Watch, which is going to be super-handy. Looks-wise, watchOS 5 adds peach, denim blue and green flashlight colors for Apple Watch faces, a less-saturated gray color for the Siri face, and a new, rainbow-colored Pride watch face to name just a few.